Prime Minister Imran Khan has said that the PTI-led government will not back down from holding the corrupt accountable. 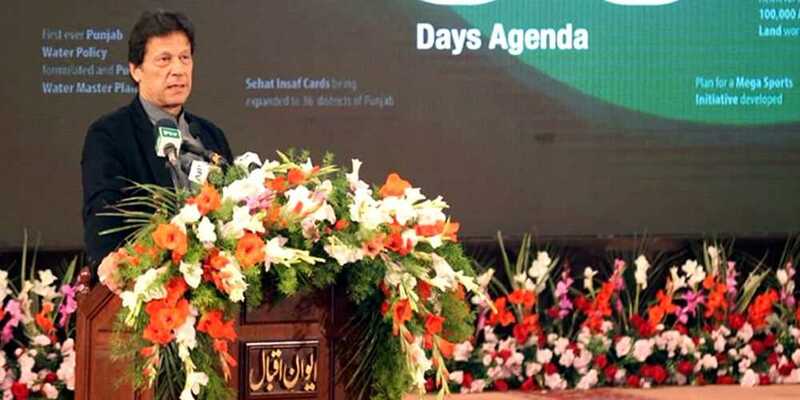 Addressing a ceremony in Lahore to highlight the performance of Punjab government in the first 100 days, the premier mentioned that the corrupt practices of former rulers have ruined the economy of the country. "There will be no compromise on accountability. The future of the country will be at stake if corrupt people are not taken to task," the premier said. Referring to the protest of opposition parties over the ongoing corruption cases, the prime minister said: "These cases were set up during the tenure of the previous government and the PTI government has no role in the matter." He vowed that the PTI government will work for the betterment and development of Punjab by ensuring the people are given their due rights and by utilizing all available resources to improve the living standard of the masses. "Major reforms will be brought in various sectors to extend relief to the general public," he said. "Agricultural reforms are very important as the sector acts as a backbone of the country while police reforms are necessary to depoliticize the department and make it a modern law enforcement force," Imran Khan said. Punjab Chief Minister Usman Buzdar along with several provincial and federal ministers attended the ceremony.